STOCK YOUR VAULT: New DVDs & Blu-rays for 04/24/2018! Welcome to the final Stock Your Vault post of April 2018 Vault Dwellers! This week boasts a small number of new titles, but many of them are definite must-owns! 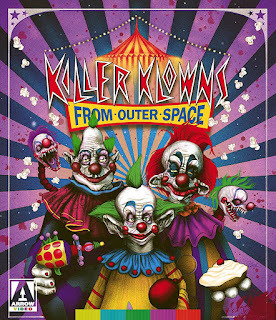 Code Red DVD brings THE BONEYARD back from obscurity on DVD & Blu-ray, Vinegar Syndrome gives LIQUID SKY a new lease on life, Full Moon re-released PUPPET MASTER to Blu-ray (in a "big box VHS case" with Blade action figure), and Arrow Video delivers unto us a brilliant Special Edition of KILLER KLOWNS FROM OUTER SPACE as well as a double feature of Duccio Tessari's A PISTOL FOR RINGO & THE RETURN OF RINGO. The true champion of the week though has to be Shout!/Scream Factory with an eclectic mix of of films from various genres, including: DIGIMON ADVENTURE TRI: LOSS, GRAY LADY DOWN, DOCTOR DETROIT (Shout Select), CYBORG (COLLECTOR'S EDITION), DAUGHTERS OF SATAN, and a re-release of TROLL & TROLL 2 that only lacks the BEST WORST MOVIE documentary! 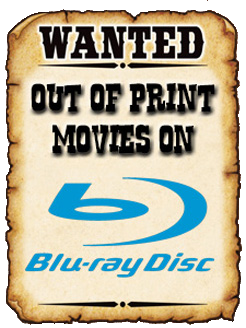 There are a few other oddities and mainstream releases out now, so be sure to scroll down to see the full roster of new titles on DVD & Blu-ray! Larry Cohen's IT'S ALIVE TRILOGY Comes to Blu-ray on May 15th from Scream Factory! LARRY COHEN'S TRIO OF KILLER MUTANT BABY FLICKS IS COMING OUT IN AN ALL NEW BOXED SET FROM SCREAM FACTORY! "There's only one thing wrong with the Davies baby.... IT'S ALIVE!" 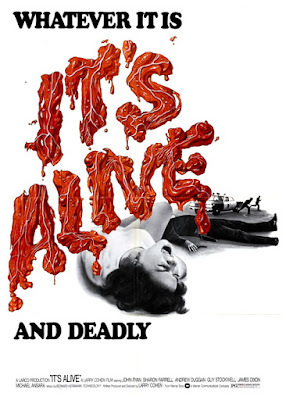 So says one of the taglines for Larry Cohen's unforgettable horror classic, IT'S ALIVE. Growing up, I discovered this cult oddity in the Horror section of my local Blockbuster Video, then saw the subsequent sequels pop up on television on TNT'S MonsterVision (with Joe Bob Briggs)! Though it's been a while since I've revisited them, I am completely ecstatic that Scream Factory has broken into the Warner Bros. vaults in order to give these movies a proper Blu-ray release! 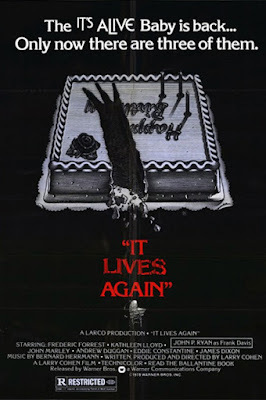 Synopsis: It's newborn and ... IT'S ALIVE ... and murder is what it knows best! 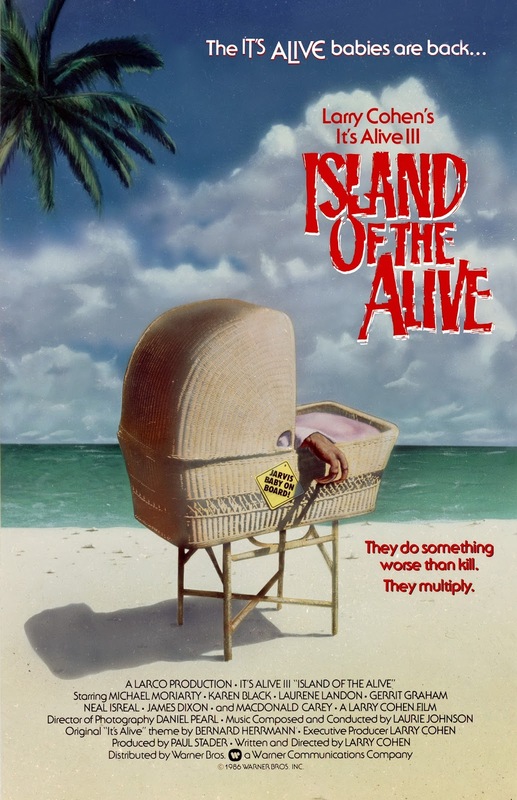 A proud couple's bundle of joy is really a newborn terror in filmmaker Larry Cohen's cautionary cult hit that tapped into environmental fears. Lenore (Sharon Farrell) and Frank Davies (John Ryan) are horrified to learn that their newborn child is a murderous mutant that escapes from the hospital shortly after murdering the doctors in the delivery room. 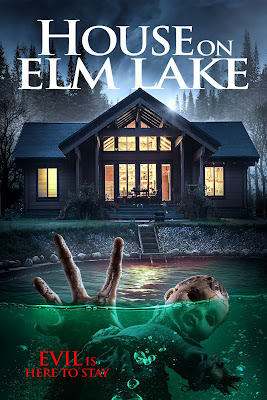 With the cops busy seeking the violent newborn, Frank and his wife struggle to come to terms with their monstrous offspring, and unlock the dark secret behind its origins! NEW! Cohen’s Alive: Looking Back At The It’s Alive Films - Featuring Interviews With Writer/Producer/Director Larry Cohen, Actors James Dixon, Michael Moriarty And Laurene Landon, And More! 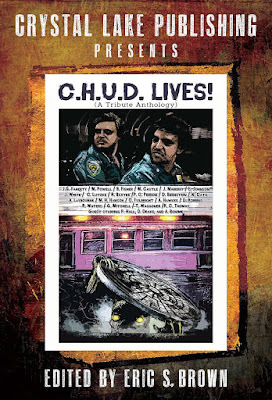 Audio Commentary with Writer/Producer/Director Larry Cohen! 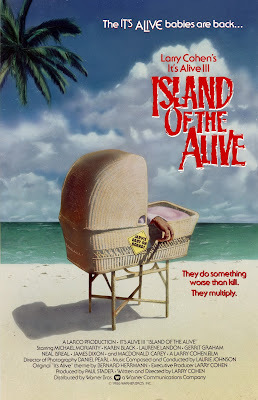 Synopsis: Two brave parents, Eugene and Jody Scott (Frederic Forrest and Kathleen Lloyd) try to evade the authorities when it is suspected that they are about to give birth to a mutant! With the aid of Frank Davies, they escape from a hospital and end up joining an underground organization that is studying the monstrous infants, and believes they are the next step in human evolution. Hot on their heels are a government task force, and a group of anti-mutant baby fanatics whose goal it to wipe out the miniature abominations! Will the Scott's tiny terror survive, or will IT share the same fate as all those that came before it? Watch IT LIVES AGAIN to find out! 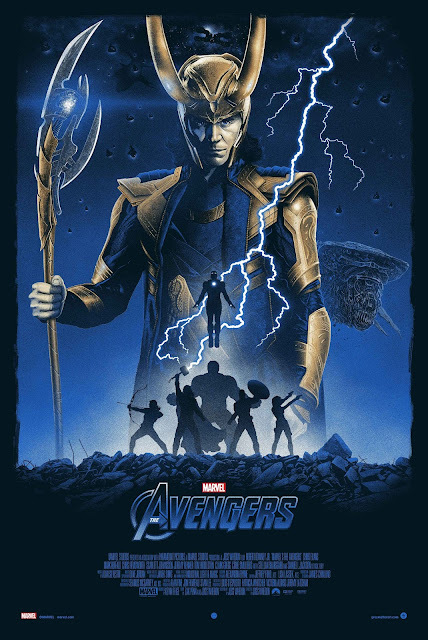 Synopsis: Stephen Jarvis (Michael Moriarty) pleads in court, for the life of his mutant son. Eventually he succeeds in winning the case, and the court orders the creatures to be dropped off on a deserted island. 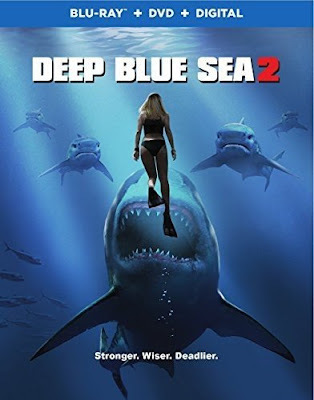 Five years later, Jarvis joins an expedition to study the creatures' growth, only to become a captive on the boat after the rest of the team is either killed or left behind. As the creatures sail back towards the coast of the United States, Jarvis must figure out what they want in order to save them, and himself. Discover their fates when you watch this bizarre capper to Larry Cohen's IT'S ALIVE TRILOGY! NEW! Interview With Special Effects Makeup Designer Steve Neill! 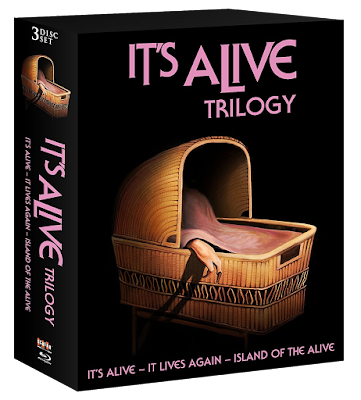 Scream Factory's IT'S ALIVE TRILOGY is due out on Tuesday, May 15th and is reasonably priced, costing approximately $32 - $40! Don't miss out on this trilogy of crazy flicks from the director of GOD TOLD ME TO, Q: THE WINGED SERPENT, and THE STUFF! Order your set now from AMAZON, BULLMOOSE, DIABOLIK DVD, or directly from SHOUT! FACTORY if you want it two weeks early! On May 22nd, Scream Factory Brings Long Out of Print Cult Classic OF UNKNOWN ORIGIN to Blu-ray! PETER WELLER BATTLES A GIANT RAT IN GEORGE P. COSMATOS' "OF UNKNOWN ORIGIN!" I was extremely excited to hear that Scream Factory had picked up this title Vault Dwellers! 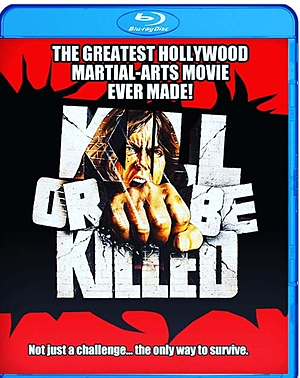 The film has been out of print for far too long, and is just one of several awesome films directed by the late George Cosmatos (who also directed TOMBSTONE, COBRA, RAMBO: FIRST BLOOD PART II, and LEVIATHAN)! Never heard of this movie? Well then by all means continue reading so you can get as excited as I am! 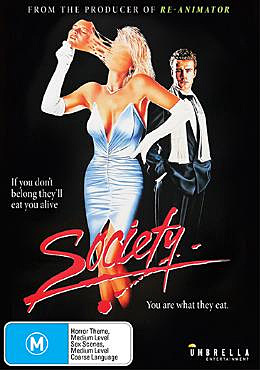 Synopsis: When not mired in the corporate rat race, Wall Street executive Bart Hughes is king of his sleek Manhattan brownstone ... until he finds his castle under siege by the most determined of home intruders. Forced to enter a rat race of an entirely different sort, Bart takes a stand, with his survival and sanity at stake. 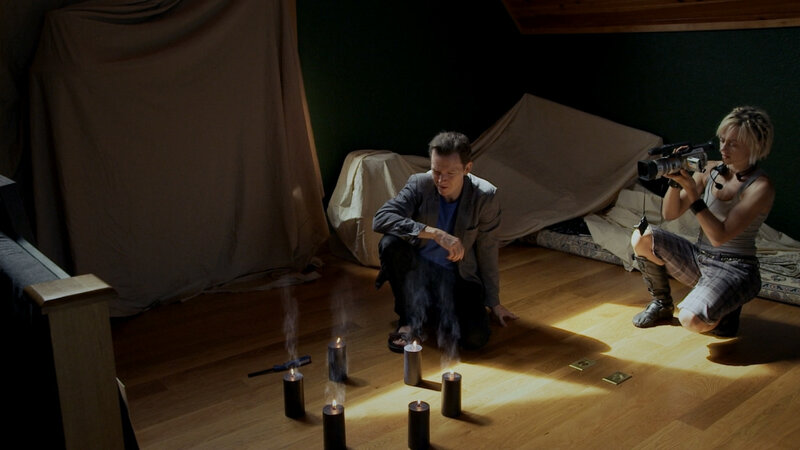 Peter Weller (ROBOCOP, Sons of Anarchy) stars in Of Unknown Origin, an eerie and nerve-tingling suspense thriller directed by George P. Cosmatos and the winner of Paris International Film Festival Awards for Best Picture and Actor. Cleverly and compellingly, the film draws you into a battle of wits, namely one with an intruder that's formidable, persistent and clever enough to lure Bart (Weller) along on an unwitting path to self-destruction. In the battle of man vs. beast, push has come to scream. NEW! 2K Scan From The Interpositive! NEW! 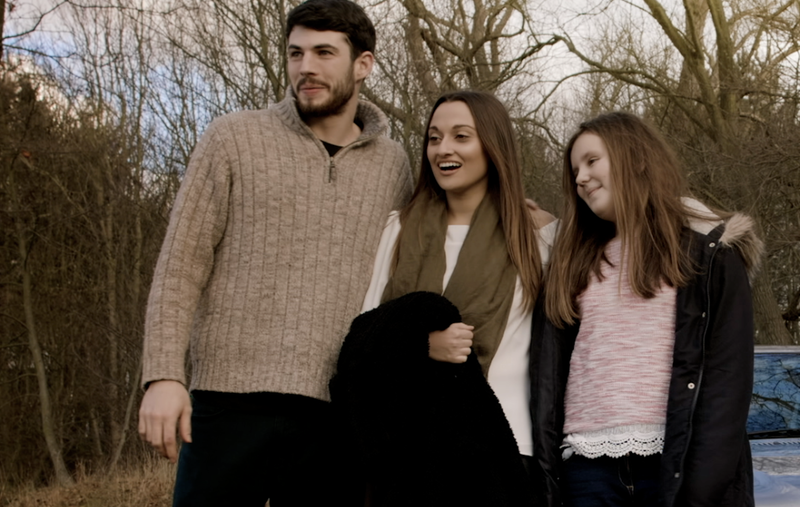 The Origins Of Unknown Origin – An Interview With Executive Producer Pierre David! NEW! That Rat Movie – An Interview With Writer Brian Taggert! NEW! Hey, Weren't You In Scanners? – An Interview With Actor Louis Del Grande! 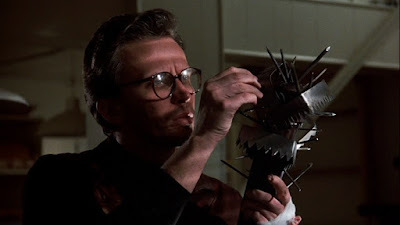 Audio Commentary With Director George P. Cosmatos And Actor Peter Weller! OF UNKNOWN ORIGIN will be released on Tuesday, May 22nd and will cost between $20 - $24. If you are a fan of Peter Weller, George P. Cosmatos, and/or movies featuring killer rats, then you NEED to pick this up. Order yourself a copy now at AMAZON, BULLMOOSE, DIABOLIK DVD, or directly from SHOUT! FACTORY if you want it two weeks early! 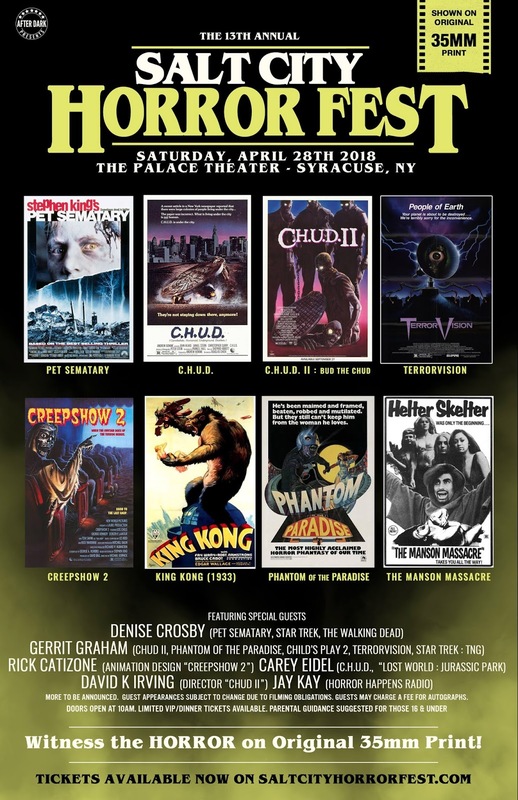 On April 24th, Scream Factory Gives You Three More Reasons to Love Them! TROLLS, GOBLINS, CYBORGS, AND VENGEFUL WITCHES LURK WITHIN SCREAM FACTORY'S UPCOMING BLU-RAY OFFERINGS! I've got to admit that Scream Factory has been on fire this year! And this upcoming Tuesday is no exception as they finally release the long-delayed Collector's Edition of Albert Pyun's CYBORG, along with DAUGHTERS OF SATAN, and a re-release of their TROLL & TROLL double feature (sans the BEST WORST MOVIE documentary)! Scroll onward to get the full specs & extras for these three upcoming titles! Synopsis: Jean-Claude Van Damme stars as the future's most fearsome warrior in this adrenaline-charged sci-fi thriller! Deteriorating from a deadly plague, 21st-Century America is descending into a barbaric nightmare. Only Pearl Prophet (Dayle Haddon), a beautiful half human/half cyborg, has the knowledge necessary to develop a vaccine. But during her quest to gather data and bring the cure to the world, Pearl is captured by cannibalistic Flesh Pirates who plot to keep the antidote for themselves and rule the world. Now, only saber-wielding hero Gibson Rickenbacker (Van Damme) can rescue her and save civilization. Prepare yourself for some late 80s Van Damage! NEW! 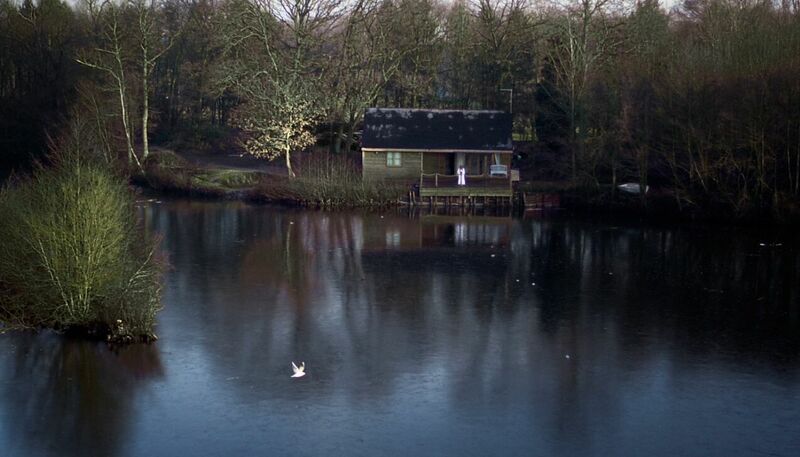 4K Scan From The Original Film Elements! NEW! 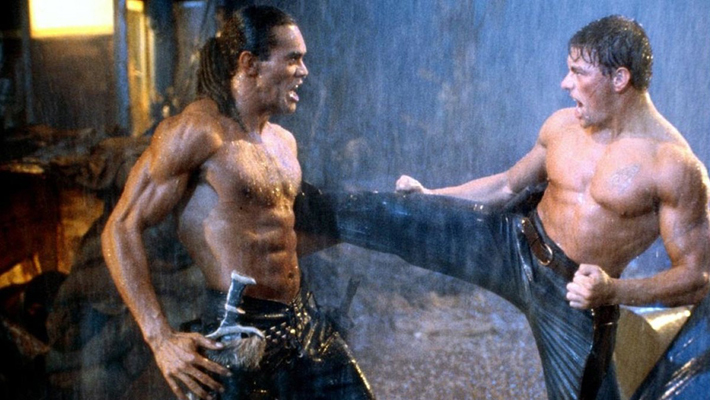 Audio Commentary With Writer/Director Albert Pyun! NEW! A Ravaged Future – The Making Of CYBORG – Featuring Interviews With Writer/Director Albert Pyun, Actors Vincent Klyn, Deborah Richter, And Terrie Batson, Director Of Photography Philip Alan Waters, And Editor Rozanne Zingale! NEW! Shoestring Fantasy – The Effects Of CYBORG – Featuring Interviews With Visual Effects Supervisor Gene Warren Jr., Go-Motion Technician Christopher Warren, And Rotoscope Artist Bret Mixon! Extended Interviews From Mark Hartley’s Documentary ELECTRIC BOOGALOO: THE WILD, UNTOLD STORY OF CANNON FILMS With Writer/Director Albert Pyun And Sheldon Lettich! 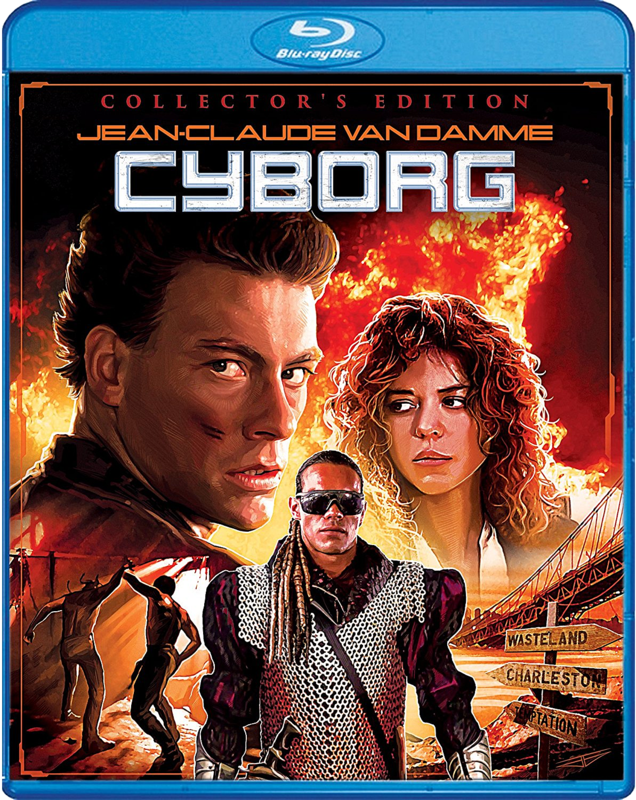 CYBORG (COLLECTOR'S EDITION) will be available everywhere on Tuesday, April 24th and will cost in the neighborhood of $16 - $25. Order your copy now from AMAZON, BULLMOOSE, DIABOLIK DVD, or directly from SHOUT! FACTORY (which will net you a free 18x24 rolled poster, while supplies last)! Synopsis: Be careful what you witch for with this spellbinding thriller that delves into the realms of ancient covens and the conquistadors who loathe them. Tom Selleck delivers a commanding performance as James Robertson, an antique dealer living in Manila. James buys a Spanish painting dating back to 1592 from an art gallery ... because the painting depicts three witches being burned at the stake and one of the witches has an uncanny resemblance to James' wife, Chris. But the similarity turns out to be much more than a coincidence when Chris becomes possessed by the spirit of her evil doppelganger. She soon meets two local women who resemble the other two witches from the painting. The three decide to murder James, as he may be a descendant of the conquistador responsible for the burning of the original coven. 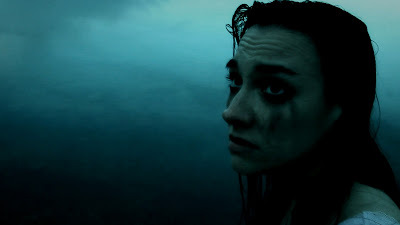 DAUGHTERS OF DARKNESS will also be available on April 24th wherever Blu-ray discs are sold and should cost you around $20 - $24. Order a copy now from AMAZON, BULLMOOSE, DIABOLIK DVD, or directly from SHOUT! FACTORY. 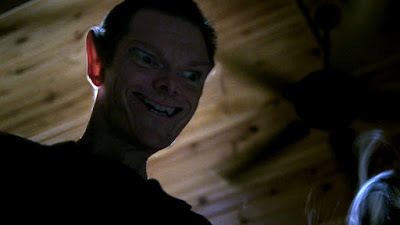 TROLL Synopsis: Lock the doors and pull out the weed-wacker for this house party of horror! One family is about to find out there's no place like home when a troublesome troll starts taking over their building, transforming each apartment into an overgrown garden of ancient evil and turning tenants into a horde of hairy hobgoblins! TROLL 2 Synopsis: Those greedy goblins are back and hungrier than ever in this gourmet gross-out! Disguised as friendly country folk, a pugnacious posse of people-eating trolls lures visitors to their town. But a family of four is about to discover this place is a real tourist trap ... and now, the no-good gnomes must be destroyed before the family gets flambéed ... and the world becomes a buffet in this feeding frenzy of fear! The Making Of Troll Featuring Director John Carl Buechler, Producer Charles Band, Writer Ed Naha, Composer Richard Band, And More! TROLL & TROLL II also comes out on the 24th and costs about $16 - $20. If you missed out on the previous release (which contained the excellent BEST WORST MOVIE doc) then here's your second chance troll fans! Secure your copy now at AMAZON, BULLMOOSE, DIABOLIK DVD, or directly from SHOUT! FACTORY. STOCK YOUR VAULT: New DVDs & Blu-rays for 04/17/2018! We're halfway through April Vault Dwellers, and this week has probably one of the weakest release slates I have seen in some time. There's really not much at all to get excited for (unless you're a HUGE fan of DC animated shows and films). Shout! 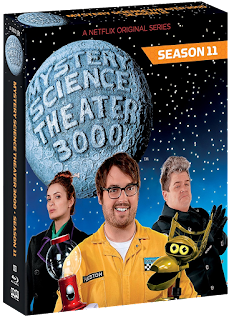 Factory gives MYSTERY SCIENCE THEATER 3000's 11TH SEASON a nice Blu-ray set, Arrow Video brings Volume 2 of SEIJUN SUZUKI: THE EARLY YEARS to Blu-ray, and DEEP BLUE SEA 2 is now available on DVD & Blu-ray! Other than that, there's a few direct-to-DVD titles, plus a smattering of animated DC fare, including movies and classic animated TV series! (The Superfriends!) Honestly gang, unless you need some movie-riffing or killer sharks in your life, save your money for next week's flood of awesome titles! To see the entirety of this week's dismal list of releases, continue scrolling! Scream Factory's Latest Trio of Terrors: CRUCIBLE OF HORROR, FULL MOON HIGH, and SUPERBEAST! 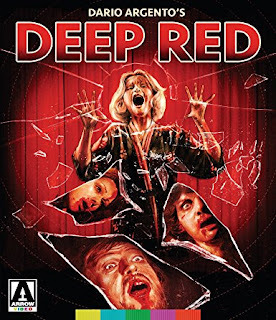 SCREAM FACTORY'S THREE NEWEST TITLES ARE NOW AVAILABLE TO ADD TO YOUR HORROR BLU-RAY COLLECTION! 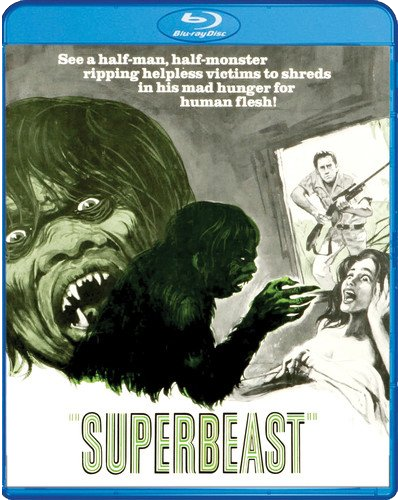 This past Tuesday, Scream Factory gave CRUCIBLE OF HORROR, Larry Cohen's FULL MOON HIGH, and the super obscure SUPERBEAST their Blu-ray debuts! I've never seen any of these movies before, so I am super excited to check them out! Continue reading below to get the full details on these new titles, and consider adding them to your ever-growing collections Vault Dwellers! 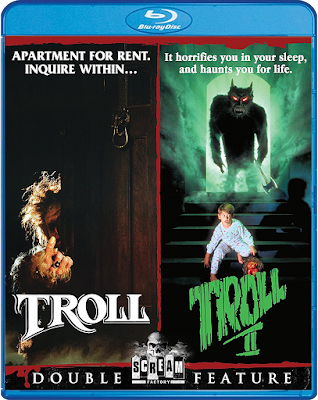 Hmm.... you know, it seems to me that this would make a GREAT double feature with THE LEGEND OF HELL HOUSE. Heck, it almost seems like CRUCIBLE OF HORROR could act as a prequel to it! NEW! HD Master From The Best Surviving Original Film Elements! NEW! Interview With Assistant Director Nicholas Granby! 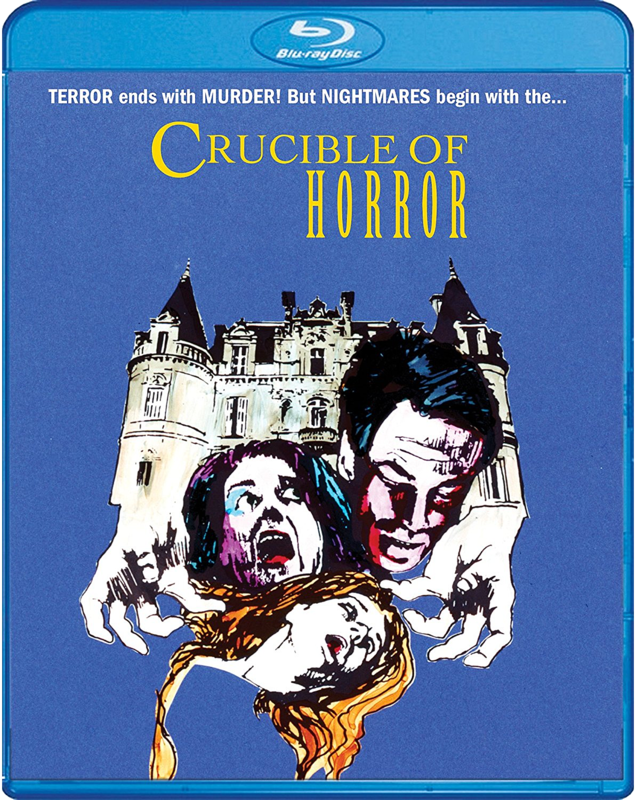 CRUCIBLE OF HORROR is now available wherever Blu-ray discs are sold! Get your copy now from AMAZON, BULLMOOSE, DIABOLIK DVD, or directly from SHOUT! FACTORY. 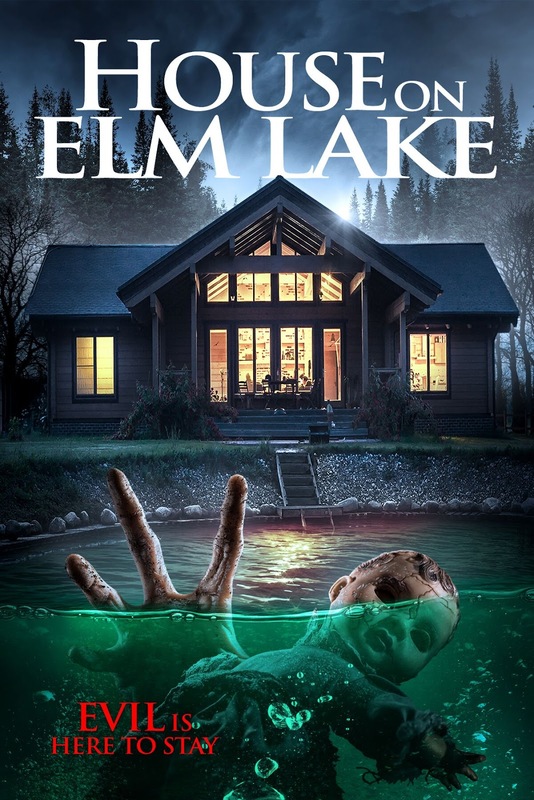 Synopsis: The problems of a typical high-school teenager take on monstrous proportions in this comical send up of horror movies! The most important thing to quarterback Tony Walker (Adam Arkin, HALLOWEEN H20) is to win the big game against archrival Simpson High. But this plan soon changes when Tony is bitten by a werewolf – and that's when things really start to get hairy! Now, whenever there's a full moon, he transforms into a growling beast that hungrily chases down beautiful girls. Cursed to live forever as a teenager with uncontrollable urges, Tony realizes he must find a way to end this cycle of animalistic excess. NEW! 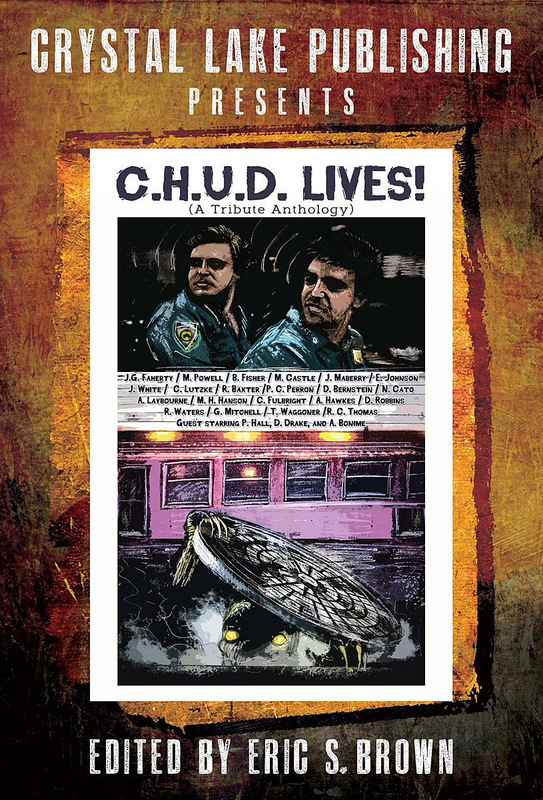 Audio Commentary With Writer/Producer/Director Larry Cohen, Moderated By King Cohen Filmmaker Steve Mitchell! FULL MOON HIGH is currently available at any of these online retailers: AMAZON, BULLMOOSE, DIABOLIK DVD, and SHOUT! FACTORY. 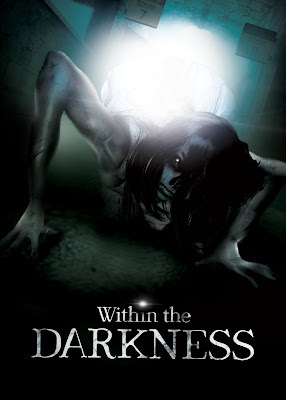 Synopsis: Dr. Alix Pardee (Antoinette Bower, PROM NIGHT) travels to the Philippines when she hears some people have been attacked by a humanoid creature. Once there, she finds that these beasts are the product of Dr. Bill Fleming (Craig Littler). Fleming is trying to cure criminals by genetically engineering their brains. These experiments are creating half-man, half-beasts. In a nod to The Most Dangerous Game, the beasts are set loose and hunted by the doctor's evil benefactor. SUPERBEAST can currently be procured from any of these fine sellers of physical media: AMAZON, BULLMOOSE, DIABOLIK DVD, and SHOUT! FACTORY. THE BONEYARD is Coming to DVD & Blu-ray from Code Red DVD! 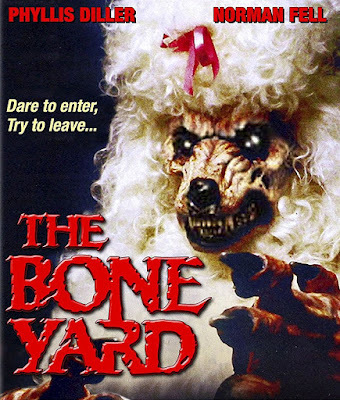 DEMONIC GHOULS AND A MUTANT POODLE LURK WITHIN JAMES CUMMINS' "THE BONEYARD!" 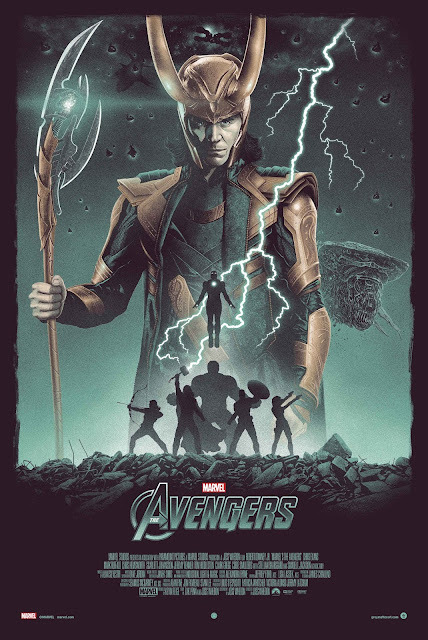 AVAILABLE APRIL 24TH! I recall reading a short one-paragraph review of THE BONEYARD in a movie guide from the 90s, but never managed to track a copy down. In fact, until recently I had forgotten this odd gem existed. Now, thanks to Code Red DVD, I can scope out this quirky classic in high-definition! 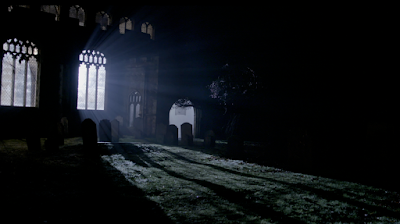 Synopsis: A policeman (Ed Nelson) and a psychic (Deborah Rose) link cult mayhem to a morgue (run by Norman Fell) where ancient ghouls are on the loose! The film plunges into the nightmarish experiences of a portly, depressed psychic Alley Oates (Rose), whose involvement in a grisly child-murder case leads her and her detective partner Shepard (Nelson) to an imposing, fortress-like mortuary. Chen, the owner of the funeral home and prime suspect in the case, claims the three mummified corpses in question are not children but ancient demons known as Kyoshi. It seems the little monsters have been around for centuries as a result of an age-old curse and can only be placated with offerings of human flesh with which the mortician has been supplying them his entire life. When Chen is jailed on murder charges, the under-fed ghouls awaken in search of dinner, trapping the staff inside the mortuary walls and devouring them. The survivors, including Rose and Nelson, use every means at their disposal to combat the demons, which have possessed the bodies of morgue attendant Mrs. Poopinplatz (Phyllis Diller) and her poodle, mutating them into hideous monsters. 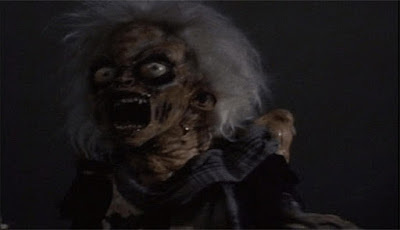 Phyllis Diller's terrifying true form revealed! NEW! HD Restoration from the Original Negative, with extensive color correction exclusive to this Code Red release! 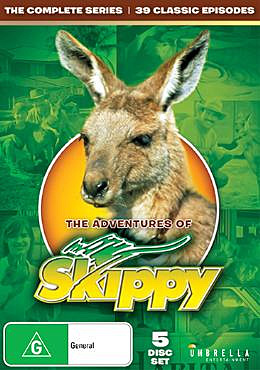 Audio Commentary with Director James Cummins and Producer Richard F. Brophy. Interviews With Actress Phyllis Diller, Director James Cummins, and Producer Richard F. Brophy. NEW! Exclusive interview with Producer Phil Smoot and Crew Members From North Carolina! Reversible Sleeve with Alternate Artwork! THE BONEYARD is due out on Tuesday, April 24th on Blu-ray and DVD from Code Red DVD! The DVD costs about $14 (and I assume has the same extras as the Blu-ray release), while the Blu-ray disc costs between $17 - $20! You can order a copy now from AMAZON, BULLMOOSE, or DIABOLIK DVD!